The Ordinary is really getting a ton of attention at the moment, and I genuinely think it's for good reason. I've been using their products for a few months now - and just started using another 4 last week - and I'm overwhelmingly impressed. That being said, one of my favorite products is also their most expensive. 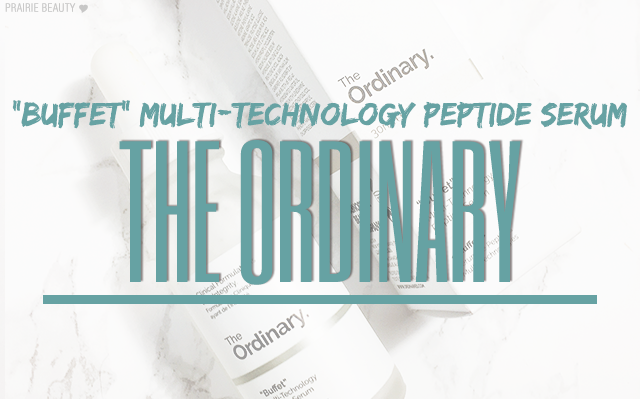 At a whopping $14.80CAD, "Buffet" has been a serious winner for me, so I wanted to give you guys a full review and talk a little bit about what I've learned about peptides in the past several months! I've really been finding that consistently using products containing peptides has shown a real difference in the look and feel of my skin. When I was initially researching peptides, one of the most comprehensive resources I found was Paula's Choice, and I would highly recommend giving this article a read if you're interested in learning more about what peptides are and what they do for your skin. The summed up version, though, is that peptides are tiny proteins made up of amino acids and work to revitalize skin and reduce multiple signs of aging. 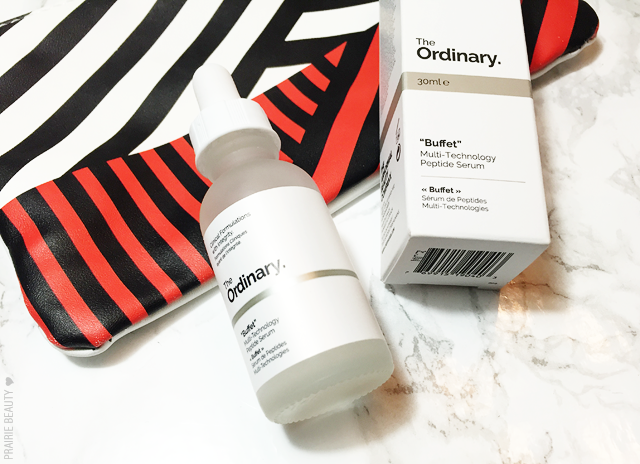 I've been using The Ordinary "Buffet" Multi-Technology Peptide Serum consistently and my bottle is actually already getting low - which is a bit of a feat considering how often I'm trying and testing new skin care products. You can use this both morning and night and I've enjoyed using it in both of those skin care routines, though I would say that I probably use it around 5 times a week and I generally do tend to use it in the morning because I find that it absorbs quickly into the skin and works really well under makeup - an important thing for any product in my morning routine. The biggest difference I've seen in my skin since I've been consistently including peptide products as a part of my routine is in elasticity and the way it bounces back from things like breakouts. 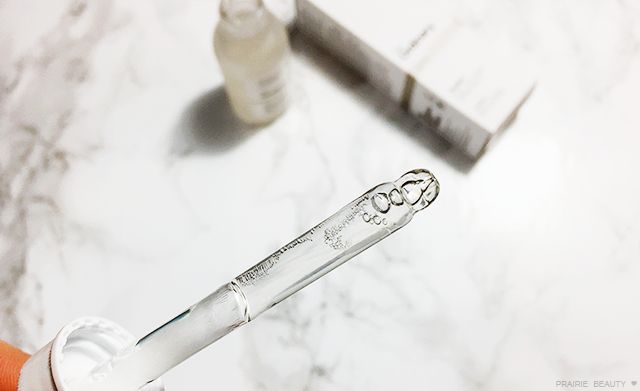 When I was about 27, my skin started recovering quite a bit slower from breakouts and I was stuck with scarring and hyperpigmentation, but I've really seen that diminished as I've really focused my skin care routine on anti-aging ingredients including peptides and I've really, really loved this serum. Another thing I've really noticed in that my skin looks more plump and hydrated overall when I use peptide products, which just really improves the overall look of my skin. This is one product that has definitely made it into the permanent stable and once this bottle runs out, I'll definitely be picking up another one. At $14.80CAD for a serum that actually yields results, how can you go wrong? 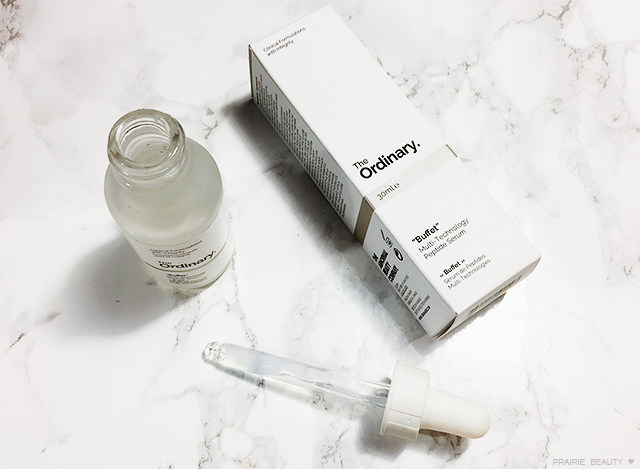 The Ordinary products are available on their website with free shipping on orders over $25 - and you can mix and match to build your order from products from all of Deciem's brands! ** This is a repost of the original post, as there was a problem with the coding that I couldn't fix. Apologies for lost comments!